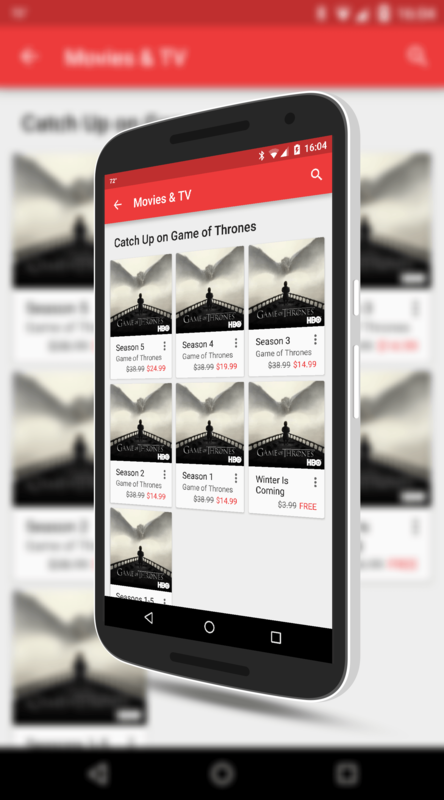 With the highly anticipated 6th season of Game of Thrones kicking off this Sunday, you can get a great deal on all of the previous seasons right in the Google Movies & TV store. Seasons right now are down to just $14.99 or you can buy all of the seasons together for $79.99. Given that each season normally sells for $38.99, this is a huge discount on all five seasons together. The price is certainly temporary and there is no uplift for HD. $14.99 gets you each full season in HD. If you have never watched the show, Google is offering the first episode of the first season for free in HD. Game of Thrones has become a huge success for HBO (who are also offering a month free right now on HBO Go) with the series based on the series of books from George R. R. Martin. If you want to read the books, which follow the TV series reasonably close. You can get the first five books of the Song of Fire and Ice series for $34.99. The sixth book in the series, much to fan’s dismay, has not been released yet so all of the events in the upcoming season on HBO are a bit of a mystery for everyone. As for me, don’t bother calling me on Sunday night.